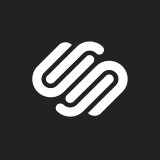 Squarespace is equally defined by its products & the advertising campaigns that promote & explain them. From the Emmy award-winning John Malkovich work, to last years Super Bowl ad featuring Keanu Reeves, creating buzzy & beautifully designed communications is a top priority. Were looking for a summer copywriting intern to join our in-house creative team in New York. Candidates should be strategically & conceptually strong & prepared to work across a wide range of deliverables, including TV, print, radio, out of home, social, digital, partnerships & events. Solve marketing challenges through beautiful & creative strategic work. Turn ideas into a reality for our advertising campaigns, social media networks & more. Work independently & collaboratively on projects with stakeholders across the company. A portfolio that shows strong strategic & conceptual campaign thinking applied across a wide range of deliverables. Broad awareness of trends in culture & technology.